© By Earl Holt III — We are indebted to Wiki Leaks for its recent revelation — found in “hacked” e-mails from Hillary’s Campaign Manager, John Podesta — that Hillary has developed an increasing contempt for “everyday Americans.” This should come as no surprise to any intelligent person. 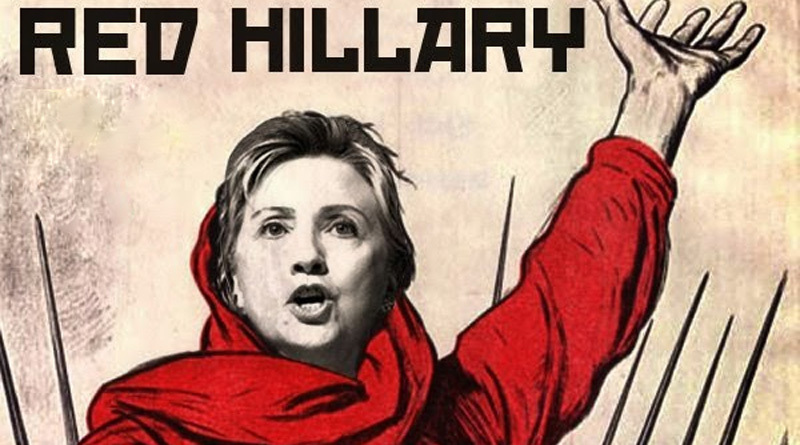 Hillary’s contempt for real America is simply a mirroring of the prevailing attitude most members of the New Marxist Party (sometimes mistakenly referred to as “Democrats,”) have toward all decent and normal Americans. The New Marxist Party hates Christians, white people, Republicans, heterosexuals, patriots, conservatives, small business owners, the law-abiding, Constitutionalists, home-schoolers, Second Amendment supporters, Libertarians, the self-reliant and those who despise Marxism in all its treasonous forms. Meanwhile, the New Marxist Party is quite enamored with its own intriguing mix of constituencies: These include black cop-killers, atheists, every variety of homo, Muslims of any kind, welfare recipients, Illegal Aliens, organized crime figures like the Clintons, the dregs of the Third World, Jewish Bolsheviks, Marxists of any stripe, union thugs, abortionists, black criminals in general, and pretty much any loser who despises the U.S. Constitution, free enterprise, Rule of Law and the Ten Commandments. However, the REAL basis for the New Marxist Party’s hatred of us is that we and our guns are just about the only deterrents still standing in the way of their grand scheme to impose a one-world socialist state upon us, run by “enlightened” and “superior” folks such as themselves. They genuinely believe that the rest of us are too simple and ignorant to appreciate and understand the genius of those grand “Utopian” schemes they have planned for us. In truth, however, we know only too well what they have planned for us: Any accurate history of the 20th Century reveals a long record of bodies and disasters that mark this “Road to Serfdom,” as Nobel Laureate Frederich Hayek christened it in his book of that title. Our would-be masters have piled disaster upon catastrophe for almost 50 years: Yet most are too ignorant, stupid or dishonest to acknowledge that the path they envision for us is the same one responsible for the murder of 100 million innocent souls in the 20th Century, alone. It is the path that leads to Mao, Stalin, Hitler, Castro, Pol Pot, Kim Il Sung, Idi Amin, Robert Mugabe, and Bokassa. If there’s one lesson to be learned from a history of the 20th Century, it is this: The New Marxist Party is perfectly capable of screwing-up the Rock of Gibraltar and then, afterwards, granting itself endless awards and recognition for its good and humanitarian intentions. Paralleling their enthusiasm for abortion is the New Marxist Party’s equally fervent opposition to capital punishment. Clearly, their compassion is reserved exclusively for savage murderers, but is NEVER extended to the innocent Unborn. In their minds, it’s America’s murderers who need rescuing. Similarly, there are now about 95 million unemployed Americans, with the vast majority no longer even looking for work. Yet, the “Holy Grail” of the New Marxist Party is amnesty for the 40 million illegal foreign nationals already here: In addition, they want open borders to enable the dregs of the Third World to immigrate here and further swell the ranks of the impoverished and unemployed. Another example of damage inflicted on this country by the New Marxist Party is their near-total destruction of the black nuclear family. Black illegitimacy is currently over 70% nationwide, and over 90% in the large, urban areas. Prior to the emergence of the welfare state in the mid-1960s, black illegitimacy was around 20%. The New Marxist Party has thrown $23 Trillion at “Urban Welfare Spending” to bribe the black underclass into supporting them electorally. This has made the black male head-of-household largely superfluous: He was driven from the home and into a form of exile where crime, alcohol, drugs and other vices were far more seductive than gainful employment. This has turned our large urban areas –- once considered the “gems” of our civilization — into violent, savage wastelands of drugs, alcoholism, violence, crime, prostitution, unemployment, vandalism and hopelessness. There was no way out of this cycle of despair except education: But then, the New Marxist Party subverted that, as well. Using the demonstrably lower levels of black academic achievement as evidence of “de facto race discrimination,” the New Marxist Party embarked on a crusade to eliminate this racial achievement “gap” in the public schools. While studiously ignoring the irrefutable evidence of lower average black I.Q.s as the true cause of such disparities, they offered a variety of “panaceas” which were costly beyond the wildest dreams of the Bourbons — who built Versailles — all of which have combined to effectively destroy inner-city public education. These include dumbed-down curricula, Federal Court-Ordered “Desegregation,” the charade known as “Common Core,” the “No Child Left Behind” law, a “White Privilege” curriculum, a “multicultural” curriculum, “affirmative-action” for teachers and administrators, “math with no wrong answers,” and a variety of other fraudulent and destructive policies, each of which has helped to widen this racial achievement gap. Meanwhile, in the area of national security, the New Marxist Party never found a communist spy it couldn’t defend, even long after his guilt was proved conclusively: Moreover, it always sided with our mortal enemies whenever an American politician actually showed some courage and actively resisted expansion by the Soviets or their proxies. Likewise, the New Marxist Party transferred Trillions of dollars in agricultural loans and subsidies to the Soviets, allowing this mortal enemy to divert resources away from its stagnant agricultural sector and help build the largest and most aggressively expansionist military in modern history. 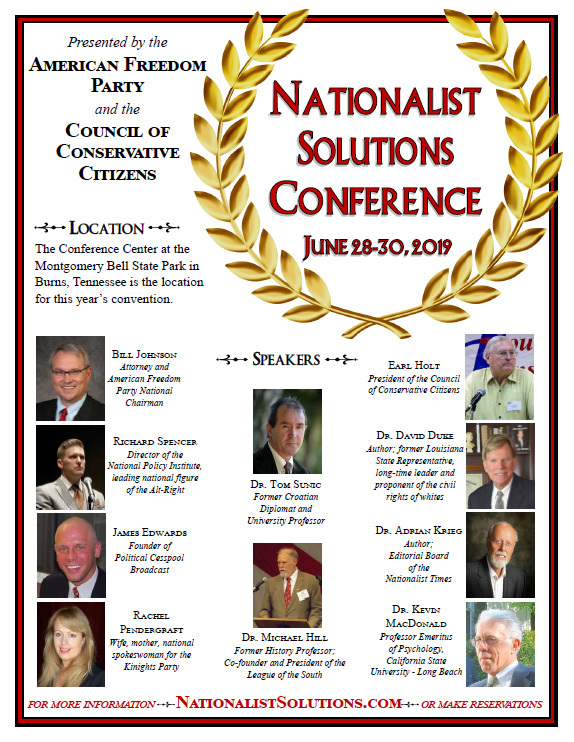 These are just a few examples of the treasonous, traitorous, incompetent, and destructive nature of the New Marxist Party, and how it has gone about diminishing and subverting this once great nation in pursuit of its dream of one-world socialist rule.